« A Conspiracy Theory about Conspiracy Theories? As mentioned here before, Triumph Prophetic Ministries William Dankenbring died on August 28, 2017 (see also TPM’s William Dankenbring died). Gary, regarding William F. Dankenbring (1941-2017) you really bring back memories. How similar our paths to AC were, along with countless other friends, who were listening to the World Tomorrow broadcast on those 50,000 watt “clear channel” radio stations all of the country in 1962. I was in H.S. as I think you might have been, graduating in 1963. I too got just such a thorough letter from Dankenbring after writing him some weighty quesitons on various biblical quesitons I had gleaned after reading through a good sample of the literature. I was just 17 years old but pretty well informed on the Bible from several years of intensive study. I kept that letter for years and pondered it sentence by sentence, delving into this or that mystery of the text I was stuggling over at the time. Bill and I corresponded quite a bit in the 1990s. I tried to “tone him down” a bit on his prophetic views and tendency toward dogmatism. I think at times he felt he was “somebody” in the sense of looking around, given his unique views and perspectives, and thinking–well who else is proclaiming the truth right now other than me? In some of his publications he clearly saw himself as the appointed successor of HWA (see http://www.cogwriter.com/triumph.htm). Over the years I clicked on his rather “elaborate” web site (flashing lights announcing specials, etc.) and caught him on his rather informal Sabbath teaching videos. He had gained a lot of weight and did not look healthy and his presentation, though interesting, was halting, informal, and somewhat disorganized. I hardly recognized him. It was kind of sad, as I remembered the lean, machine “Dank” as you did. But he did carry on, with many apocalyptic predictions and expectations, all come to naught. I just looked at his web site, Triumph Ministries and it looks like it has had a makeover and many of Bill’s booklets, articles, and Bible studies are being made available, including rebroadcasting Bill’s weekly teaching videos. I just did a bit of searching and found what I think might be Bill’s last Sabbath teaching, August 12, 2017, if anyone wants to listen. Even though Bill seems very weak in this video is is clear his “old fire” is still there and he remained unhesitant to put forth his latest apocalyptic expectations–even after 55 years of failures! The message and its tone will have a familar ring to all of us who lived through AC’s 1950s-1970s. Here is the link for those interested or who knew him. I really appreciate you sharing your personal memories. I had not even heard he had died. We are all getting closer, are we not, that early 60s AC group, one by one, going down that Valley. James Tabor seemed to recognize that as well. As far as James Tabor goes, I have spoken to him a couple of times in the past, but never about William Dankenbring. James Tabor was once part of the old Worldwide Church of God, but has not held fast to many of the teachings of that church. Getting back to William Dankenbring, here is a link to one of his prophetic errors: TPM’s William Dankenbring’s 2012 Speculation is Wrong. William Dankenbring also had problems related to the day for Passover: TPM: Passover on the 14th or 15th?). William Dankenbring had much potential, but did not follow the way of truth as much as he should of. He caused the way of truth to be blasphemed. 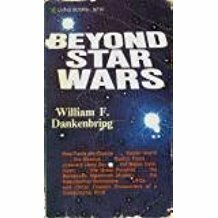 My own encounters with William Dankenbring were basically negative. This entry was posted on Thursday, September 28th, 2017 at 3:00 pm	and is filed under WCG News.